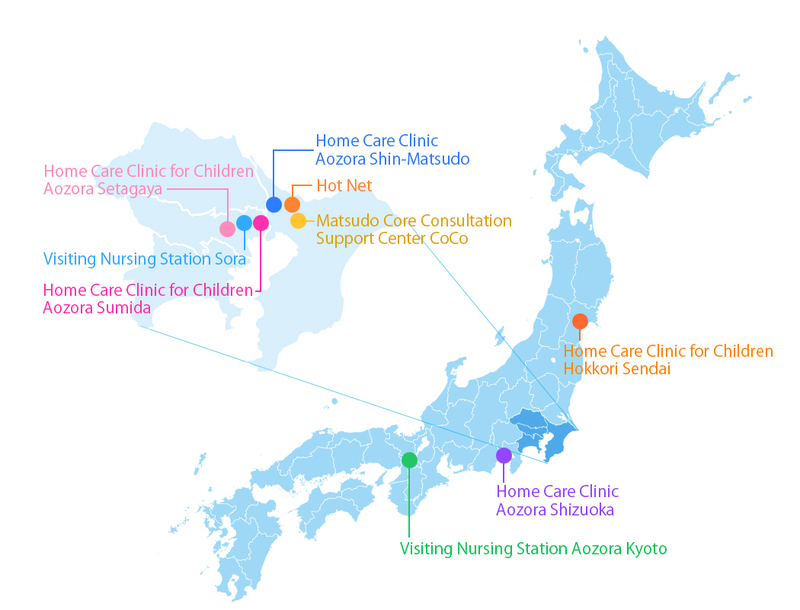 In 1999, we started a clinic in Matsudo, a city close to Capital Tokyo, to provide a home-visit service. Since then, we have opened three clinics, three home-visit nursing stations, and two welfare facilities that provide social and medical services to support people with disabilities and severe ill persons. We now provide community support to about 600 patients of age 0 to 100.